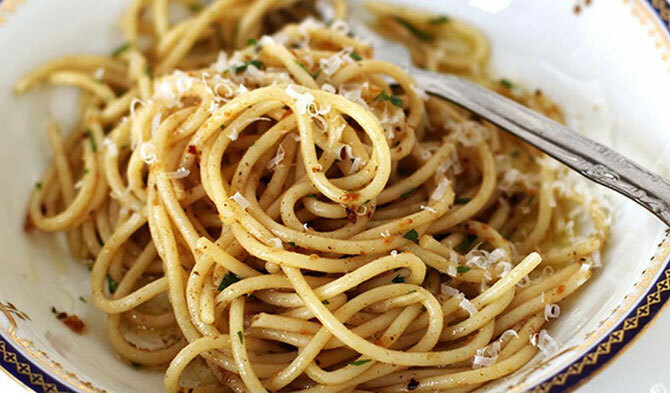 Anchovy paste adds an umami flavor to a simple garlic and butter sauce, perfect tossed with a thin pasta such as spaghetti. Heat oil in a 12” skillet over medium heat. Add garlic; cook, stirring occasionally, until golden, 2–3 minutes. Add anchovy paste and chile flakes; cook until deeply caramelized, about 5 minutes. Reduce heat to medium-low; slowly stir in butter to make a smooth sauce. Meanwhile, bring a large saucepan of salted water to a boil. Cook spaghetti until al dente, about 10 minutes. Add spaghetti and parsley to skillet and season with salt and pepper; toss to coat. Divide among serving bowls and garnish with parmesan.